Let’s be honest. There was a time when, I, like all the other uninitiated, bought my tamales at a grocery store. Or, before they were widely available at the grocer, I had to wait until the nice lady in my office would make them around Christmas and buy a few dozen. A couple of years ago, though, I learned how to make Homemade Tamales. Now, I’m no longer a prisoner! I am free to eat as many tamales as I want! Freeeeeedoooom! Enough of that though–you need to know, before you begin, that there’s a process. An assembly line is required in order to make these efficiently and in a timely manner. You are, after all, making 5 dozen of them at a time. And even if you’re making 5 dozen cookies, an assembly line is required. Seriously. Seriously. 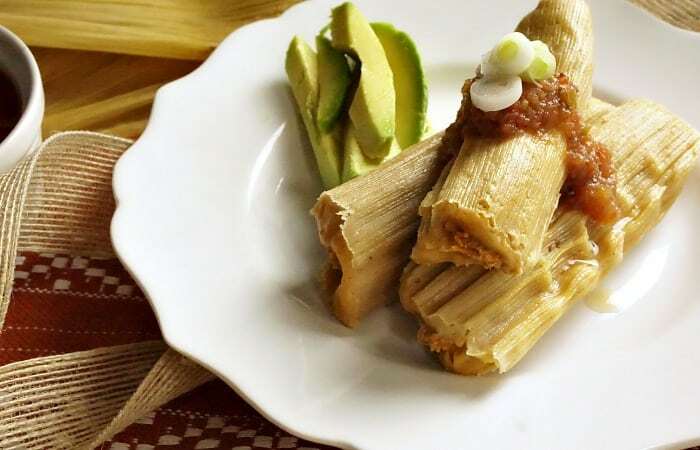 If you think you can make your homemade tamales right away, you just go ahead. 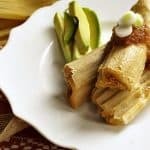 But, just in case–and because I know you really want to wait until this weekend to make it, why do you go ahead and pin this…aren’t those tamales just so perfect…LOL! 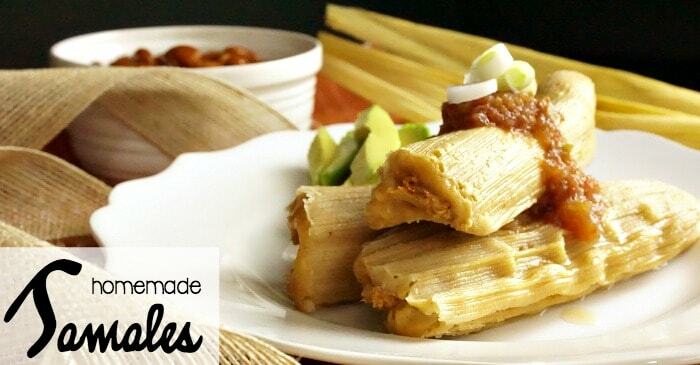 Let me know how your homemade tamales turn out…just drop us a line in the comments below! I learned how to make Homemade Tamales. Now, I'm no longer a prisoner! I am free to eat as many tamales as I want! On the day BEFORE you want to assemble your tamales, put the Chicken Thighs, Bell Pepper, and one of the Onions in a large pot. Cover with water, bring to a boil. Reduce heat and cook over low heat for about 30 to 45 minutes, or until Chicken is cooked through. Remove from heat and allow to cool. Place in refrigerator overnight. 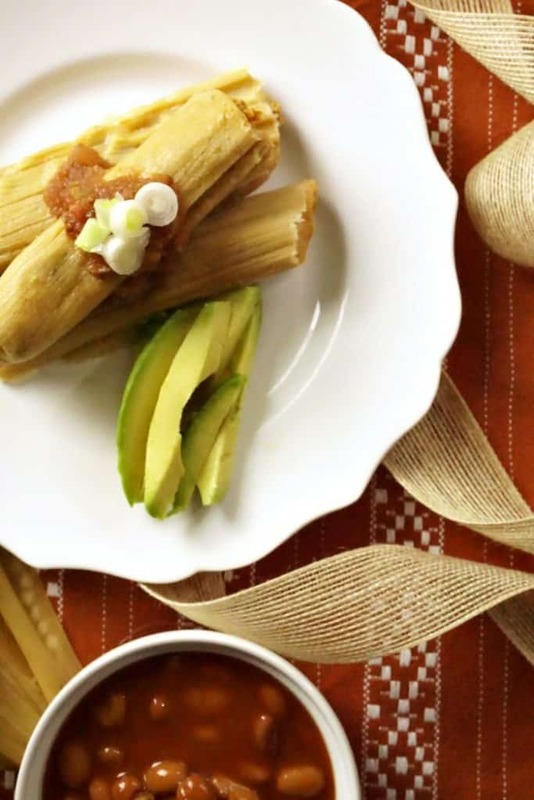 On the day you're ready to assemble your tamales, place Corn Husks in a large pot and cover with water, set aside. Skim any fat from the chilled Chicken and Broth. Warm the broth enough to make it pour-able, but not hot. In a VERY large bowl, combine the Masa and all the dry ingredients for the Tamale Dough--mix well. Add ALL the Vegetable Oil at one time, and mix well with your hands. Place a few pieces of the cooked chicken in a deep bowl, and use a hand-mixer to shred it. Place the shredded Chicken in a large skillet with a small amount of the broth, over low heat. Continue to shred a few pieces of chicken at a time, until all the chicken is in the skillet. Add the chopped onion, garlic, and dry ingredients and mix well. Heat through, but only until warm. Remove the Corn Husks from the water and stand in a bowl to drain. 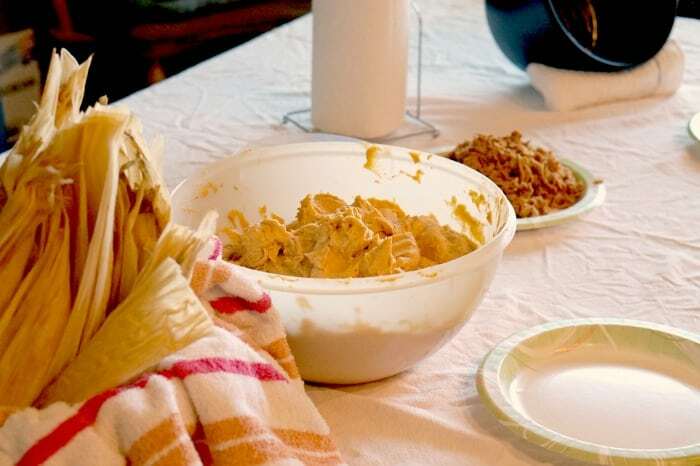 Set up your "Assembly Line": Corn Husks, Dough, Filling, and Tamale Pot. Put a Corn Husk on a paper plate. Smear dough about 4 inches long and 1/4 -inch thick on the corn husk, to within about 1/2-inch of the edge of the corn husk on the top and sides. Add 1 to 2 tablespoons of the Meat Filling, spreading down the center of the dough, top to bottom. Roll the Corn Husk from one side to the other, about half way. 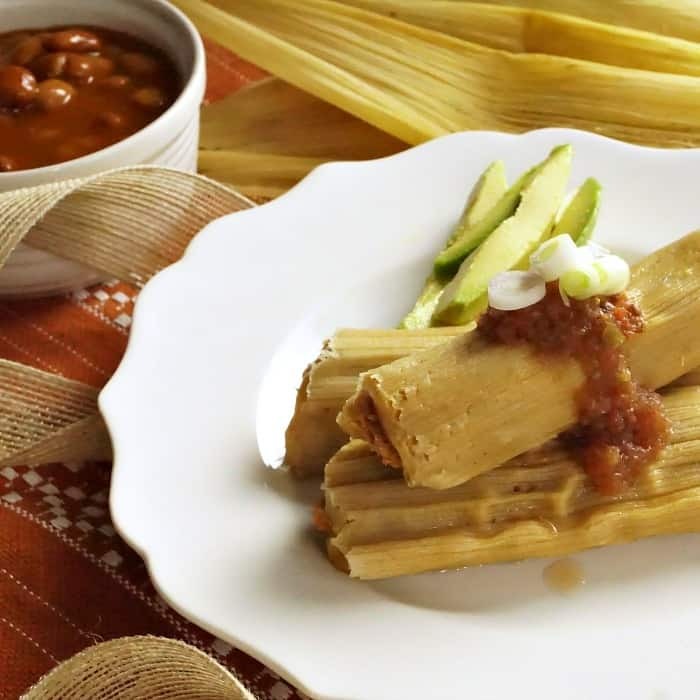 Fold the bottom of the corn husk up and over the rolled portion, then continue to roll the tamale. Place the tamale in the basket of the tamale pot. Continue until the tamale pot basket is full, or you run out of ingredients. Put water into the bottom of the tamale pot, but do not let the basket of tamales touch the water. Place the basket in the tamale pot and place over high heat until the water begins to boil. Reduce the heat to medium and continue to cook for about 2 hours. When the dough at the top of the tamales begins to look "dry", remove one of the tamales from the center of the pot. Let the tamale cool, then and un-wrap it. The dough should easily separate from the corn husk. If it doesn't, return the tamale to the pot and cook a little longer.